The Holland & Co Chartered Accountants VAT team has many years experience in helping businesses and organisations, both small and large, with all aspects of VAT. We can offer advice on VAT-related subjects, such as refund schemes to exemptions and transactional VAT advice. Jack will be happy to offer a free, no obligation discussion on how VAT affects your business and the range of services we can offer to help you. 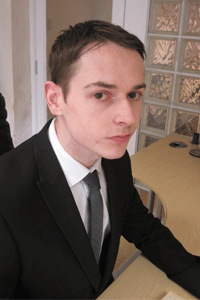 Jack has obtained a Bachelor of Science Degree in Accountancy with Honours from Liverpool John Moores University. He is also CIMA accredited with SAGE to level 4. In addition to preparing financial statements and tax returns Jack can assist with all things VAT Compliance related, saving you time and money. Support you with VAT compliance through guidance, training and workshops. If you would like to find out more about our VAT Compliance services please contact Jack for further information and advice.